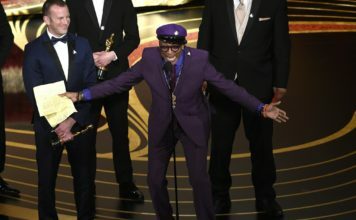 The Oscars will hope to live down their most infamous blunder at the 90th Academy Awards, which begin at 8 p.m. EST and will be broadcast live by ABC from the Dolby Theatre. But more than redemption is on the line Sunday for last year’s embarrassing best-picture flub – the fiasco known as Envelope Gate. The ceremony, to be hosted again by Jimmy Kimmel, will be the crescendo of one of Hollywood’s most tumultuous awards seasons ever – one that saw cascading allegations of sexual harassment topple movie moguls, upended Oscar campaigns and new movements launched to improve gender equality throughout the industry. No Golden Globes-style fashion protest is planned by organizers of Time’s Up, the initiative begun by several hundred prominent women in entertainment to combat sexual harassment. Their goals go beyond red carpets, organizers said in the lead-up to the Oscars. But the #MeToo movement is sure to have a prominent place in the ceremony. Greta Gerwig (“Lady Bird”) is just the fifth woman nominated for best director. Rachel Morrison “Mudbound” is the first woman nominated for best cinematography. Ashley Judd, the first big-name actress to go on the record with allegations of sexual misconduct against Harvey Weinstein, is among the scheduled presenters. Before he was tossed out of the film academy after a storm of sexual harassment and sexual abuse allegations, Weinstein was for the last two decades the grand poobah of the Oscars. By one study’s findings, Weinstein was thanked more often than God in acceptance speeches. As if his presence Sunday wasn’t already felt, a golden, life-sized statue of Weinstein seated on a couch with Oscar in hand was erected ahead of Sunday’s show just down Hollywood Boulevard. Just as Seth Meyers did at the Globes, Kimmel will have a particularly steep challenge balancing a night of celebration for a Hollywood still reeling with shame and regret over “open secret” behavior that for years went unpunished in a largely male-dominated industry. In December, the film academy unveiled its first code of conduct. 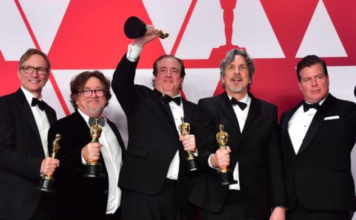 It’s been an unusually lengthy – and often unpredictable – awards season, already an increasingly protracted horse race begun as most of the contenders bowed at film festivals last September. The Academy Awards, which will also be available for streaming on abc.com, are coming a week later this year because of the Olympics. While the night’s acting categories are widely expected to go to Frances McDormand (“Three Billboards Outside Ebbing, Missouri”), Gary Oldman (“Darkest Hour”), Allison Janney (“I, Tonya”) and Sam Rockwell (“Three Billboards”), the lengthy season hasn’t produced a clear best-picture favorite. Guillermo del Toro’s monster fable “The Shape of Water” comes in with leading 13 nominations, but many peg Martin McDonagh’s darkly comic revenge drama “Three Billboards” as the front-runner despite the film’s divisiveness among critics. And still, many aren’t counting out Jordan Peele’s horror sensation “Get Out” or Christopher Nolan’s World War II epic “Dunkirk,” which is expected to dominate the technical categories. The field is made up largely of modest independent film successes except for the box-office phenomenon “Get Out” ($255 million worldwide after opening on Oscar weekend 2017) and “Dunkirk” ($255 million). Twenty years ago, a “Titanic” sweep won record ratings for the Oscar broadcast. But ratings have recently been declining. Last year’s show drew 32.9 million viewers for ABC, a four percent drop from the prior year. Even more worrisome was a slide in the key demographic of adults aged 18-49, whose viewership was down 14 percent from 2016. Movie attendance also hit a 24-year low in 2017 despite the firepower of “Star Wars: The Last Jedi,” ”Beauty and the Beast” and “Guardians of the Galaxy, Vol. 2.” An especially dismal summer movie season was 92 million admissions shy of summer 2016, according to the National Alliance of Theater Owners. But this year is already off to a strong start, thanks largely to Ryan Coogler’s “Black Panther,” which many analysts believe will play a prominent role at next year’s Oscars. In three weeks, it has already grossed about $500 million domestically. The film’s star, Chadwick Boseman, will be a presenter Sunday. 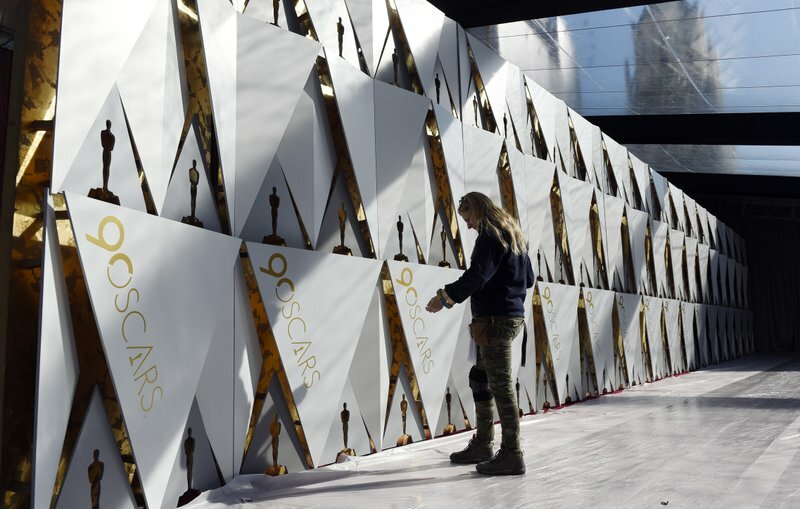 This year, the academy has prohibited the PwC accountants who handle the envelopes from using cellphones or social media during the show. Neither of the PwC representatives involved in the mishap last year, Brian Cullinan or Martha Ruiz, will return to the show.